No other electronic dance act made so many recordings in such a wide range of styles (and with such impressive results) as the duo of Mark Pritchard and Tom Middleton. After coming together in 1991, the pair began recording music whose range spanned all of electronic dance music, though many were recorded under aliases — industrial techno as Reload, electro-funk as Jedi Knights, progressive house as Link, jungle as the Chameleon, and most famously, ambient and house as Global Communication. 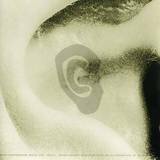 Their 1994 LP 76:14, recorded as Global Communication, was a notable high point of the early-'90s ambient house movement. The partnership began in 1991, when Pritchard and Middleton formed Evolution Records (named after a Carl Craig track) to release their own dancefloor-oriented house and techno. (Middleton had previously recorded with Aphex Twin while Pritchard had been half of the duo Shaft, responsible for the British Top Ten rave hit "Roobarb & Custard"). The first three releases on Evolution were EPs recorded as Reload by Pritchard/Middleton in 1992-1993 — The Reload, The Autoreload, and The Biosphere. The records were excellent Detroit-inspired tracks, brooding and eerie but nonetheless highly danceable. Reload first gained fame on the Infonet label (the brief dance subsidiary launched by Creation Records) with an EP and the 1994 full-length A Collection of Short Stories. Global Communication, which matched the unsettling ambience of Reload but with a focus on warmer rhythms, debuted on Evolution 004, otherwise known as The Keongaku EP. Though Global Communication's full-length debut Pentamerous Metamorphosis followed soon after, it wasn't quite a proper album per se; it was in fact an extended remix of Chapterhouse's Blood Music LP. With the ambient house boom in full force by 1994, Pritchard and Middleton's downtempo project became more important than Reload. They signed to Dedicated and released 76:14 in mid-1994. The album later gained an American release, and made many critics' best-of lists that year. Global Communication released Remotion in late 1995, though this album consisted of remixes also, including material from the out of print Pentamerous Metamorphosis LP along with reworkings of material by Jon Anderson, Nav Katze, and Warp 69. Never a team to rest on their laurels, Pritchard and Middleton added another side project to their resumé in late 1994 when Jedi Knights released the debut single for nu-school electro label Clear Records. Though a full-length was more than a year in coming — New School Science appeared in March 1996 — the debut 12" sparked an electro revival in England, and anticipated later Clear moonlightings by µ-Ziq (as Tusken Raiders), Matt Herbert (as Doctor Rockit), and Autechre (as Gescom). Jedi Knights also appeared on the May 1995 label retrospective The Theory of Evolution along with other Evolution projects such as Reload, Link & e621, and non-Pritchard/Middleton artists such as Jak & Stepper (aka Dave Kempston and Stevie Horn) and Matt Herbert's Wish Mountain project. Evolution was soon replaced by Pritchard and Middleton's new label venture: Universal Language Productions, the home of new releases by Gerd, Max 404, Danny Breaks, and Droppin' Science, among others. The duo also debuted yet another project in early 1996 — the Chameleon had first appeared in 1994 remixing Link's "Archetype Arcadian," and as jungle began to grow in popularity during 1995-1996, LTJ Bukem signed the Chameleon to his Good Looking stable for the single "Links." It appeared in January 1996, and was compiled later that year on Bukem's Logical Progression compilation.